– Season the tofu chunks with salt and pepper. – Put 1 tablespoon of coconut oil into the pan. Add the tofu chunks aubergine and courgette and fry until they turn to golden brown in colour. Transfer onto the kitchen towel. Set aside. – Put 1 tablespoon of coconut oil into the same pan, add 3 tablespoon of Vegan Thai green curry paste and gently fry the paste approx. 1 minute. – Add 100 ml of Thai coconut milk, aubergine and courgette then bring it to boil. Once the curry boiled turn the heat down quickly. – Add the rest of the coconut milk, vegetable stock cube, sugar and light soy sauce. Simmer further for approx. 20 minutes. You can put water if preferred the thinner curry sauce. -Add the basil leafs and tofu then gently fold all the ingredients together. 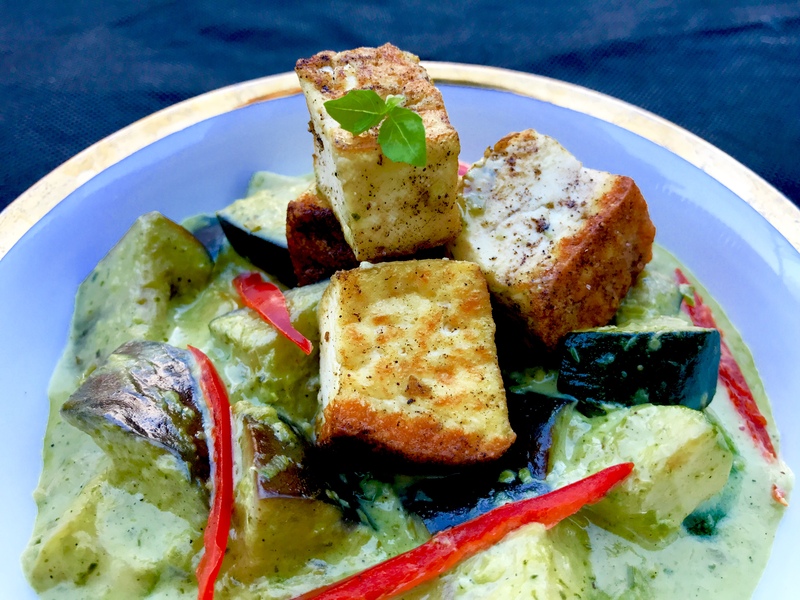 -Transfer this delicious Vegan Thai green curry into the serving bowl.Serve immediately with steamed Thai Jasmine rice. 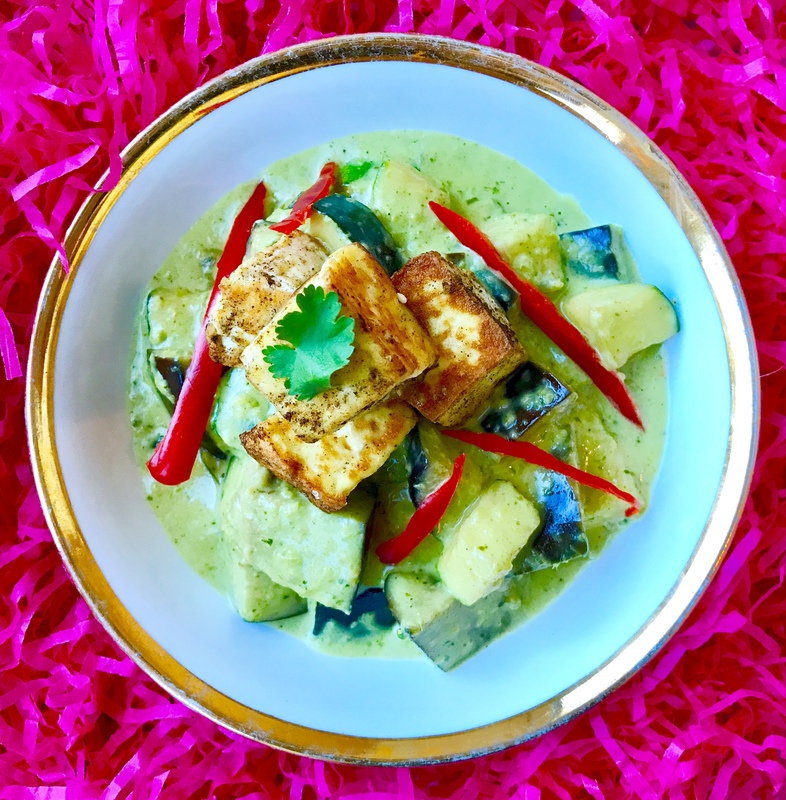 – Use 2 tablespoon of the curry paste for the mellow version of Vegan Thai Green Tofu Curry. – Click here for my delicious homemade Vegan Thai Green Curry paste recipe. – Click here Thai Kitchen Staples Blog. If you were thinking about, which products you will need to create a very scrumptious Thai curry.